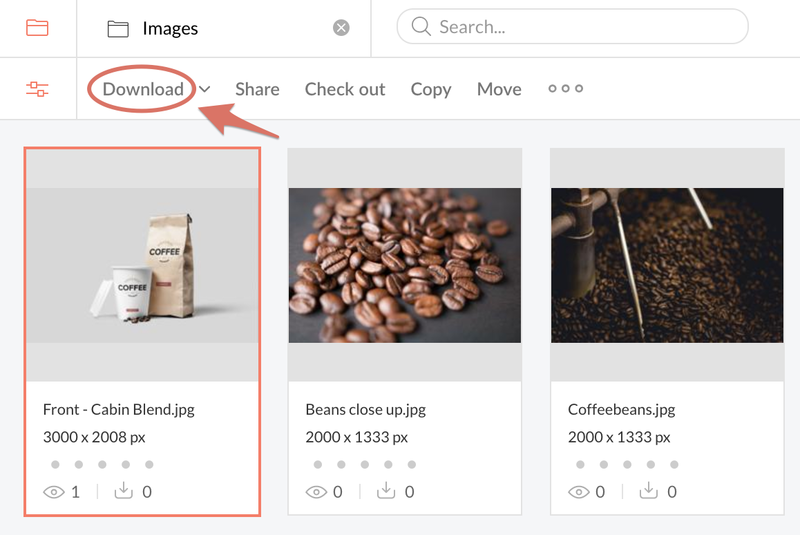 Learn how to download files and folders from Swivle to your local machine. 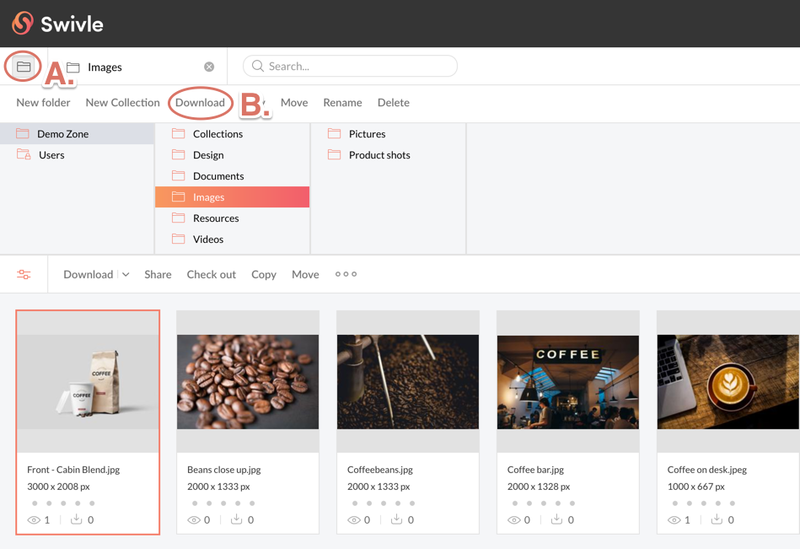 When working with files that are stored in Swivle, there may come a point that you want to save one or more files locally to use them in some way. In Swivle it is possible to download a single file, a range of selected files or a complete folder structure. Tip: If your goal is to download the file for editing, consider checking out the file, rather than downloading. This prevents other users to work on the same file at the same time. Downloading one or more files is done by searching for the files that you want to download, selecting them and subsequently clicking Download in the menu bar. 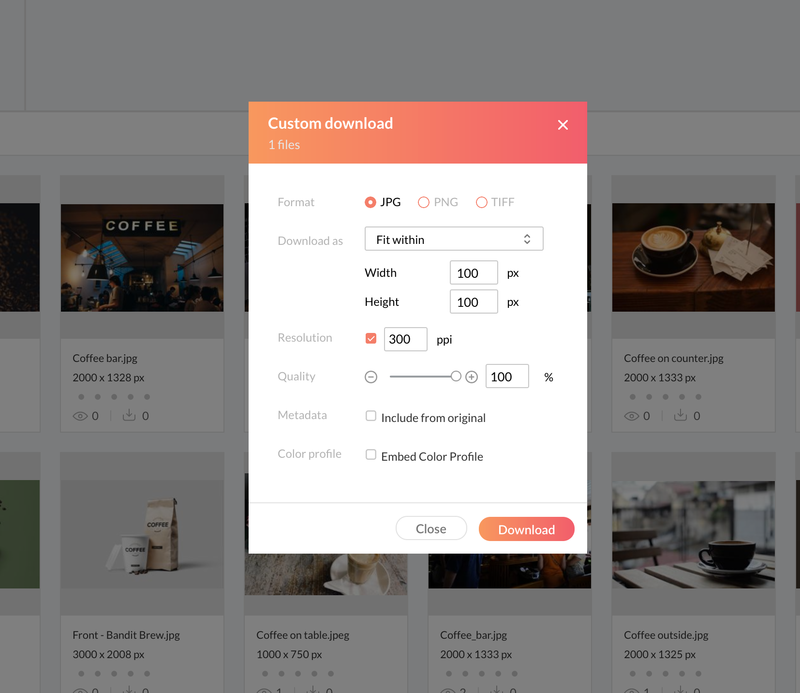 When pressing Download, Swivle will automatically download the best quality version of the file you have access to. 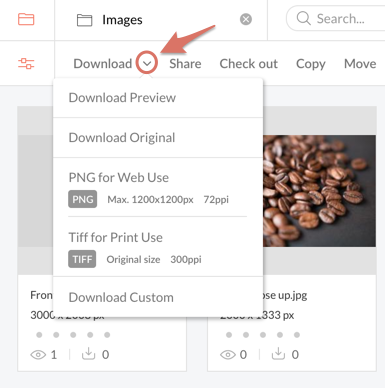 This means that when you have access to the original, the original file will be downloaded and if you only have access to the file preview, the preview of the file will be downloaded. Additionally, you can press the arrow button next to the Download button for additional download options, explained below. The various options in the Download menu (yours may vary depending on the setup and access rights). Tip: You can also right click a file to open the Context Menu to download a file. This downloads an exact copy of the file. The system administrator can create presets containing often used download settings (as opposed to you having to choose these settings manually each time, see Custom Download below). Download Presets make downloading files on a regular basis using the same download settings much more efficient. Simply click an available preset to download an image in those settings. Use this option to download an image in a particular combination of format, dimension and resolution. To do this, use the Folder browser (A) to select a folder to download and click Download (B) in the menu bar. The folder, its content together with any sub folders and their content will be downloaded as a ZIP file.